Wind and solar power are taking off in many countries. Wind and solar PV technologies have seen rapid cost reductions and can now provide electricity at or below the cost of traditional sources in a growing number of countries, the International Energy Agency (IEA) said in a new report. This makes them more appealing for countries seeking to meet growing power demand and decarbonize their energy system at the same time, added the report on “Getting Wind and Sun onto the Grid”. Since variable renewable energy (VRE) technologies have certain unique properties, integrating them into power systems means understanding how they relate to other parts of the grid. The level of adaptation needed to effectively integrate VRE also changes as more low-carbon resources are built. Making the right changes when they are needed avoids both overspending, delays and protects security of supply. In this context, the report explains when certain challenges related to VRE integration are likely to emerge, and how to solve them. While wind and solar power are taking off in many countries, there are still some misconceptions about their reliability. For instance, does fluctuating wind and solar production need one-to-one “back-up” capacity? Does it impose high cost on conventional generators? Is it possible to integrate variable renewable production if you don’t have storage? The new report clearly shows that integrating VRE technologies requires little extra effort, especially at the initial deployment stage. The variability of its production is negligible compared fluctuations in demand; something that power-system operation and conventional generators have been designed to deal with. Indeed, wind and solar can be built without destabilising power systems or causing ballooning cost and operational complexities. Based on existing power systems, the report identifies four phases in VRE integration, each with specific characteristics and operational priorities. 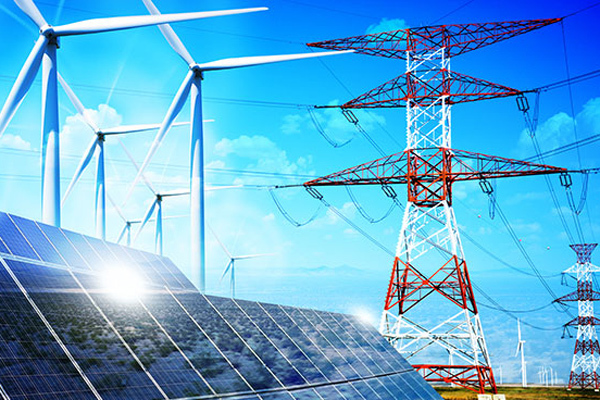 In the first phase, wind and solar have no noticeable impact on the system, and the priority is to communicate clearly where and when solar and wind projects can connect, and what technical requirements these plants must comply with. In a second phase, as their share of total power production grows, the focus shifts to managing first instances of grid congestion, and to incorporate forecasts of VRE generation in the scheduling and dispatch of other generators. In the last two phases, wind and solar have started to affect the overall grid and other generators. As the share of VRE grows, the challenges that power systems face will relate both to system flexibility – relating to supply and demand in the face of higher uncertainty and variability – and system stability – the ability of the of power systems to withstand disturbances on a very short time scale. The continued growth of wind and solar power will be a priority for the decarbonisation objectives set by the Paris Agreement, which entered into force in November 2016. The timing and scale of the challenges relating to VRE integration will depend on the characteristics of each individual power system. Since many countries are starting to introduce VRE, this report specifically focuses on the initial deployment phase.